When Shlomo Bistry of Bank Leumi thinks about the future, he “feels like a passenger on the train. The way is very clear.” The Israeli bank is 115 years old, but it’s moving with speed and purpose. Bank Leumi is transforming its IT infrastructure from a traditional environment to the cloud, redefining itself with mobility and customer-centricity in mind. Traditional brick-and-mortar banks are at a crossroads in their business models. Customers demand ease of access, and prefer to bank when and where they choose, rather than make time to visit their local branches. Thanks to transformative technologies, Bank Leumi customers experience an entire banking ecosystem in the palm of their hands, whether they’re stretched out on a sofa or at the top of a mountain. However, while Bank Leumi serves as a strong example of IT maturity, their story is still a rare one. In fact, as Dell EMC’s and Intel’s research with Enterprise Strategy Group (ESG) shows in its most recent IT Transformation Maturity study, only 6 percent of the market features fully transformed organizations (just a 1 percent improvement from last year). That is an eye-opening number given the pressures on business to keep up with advances in digital technologies, and competitive disruptors squeezing legacy institutions’ historical market share. The Maturity study, based on research with 4,000 IT decision-makers across 16 countries, reveals that the majority of businesses fall into the bottom two groups of ”legacy” and “emerging”, as opposed to the more advanced states of ”evolving” and ”transformed”. The majority — 81 percent — of respondents are worried that if they don’t embrace IT Transformation, their companies will fail to compete within a transforming marketplace. That number has grown 10 percent in the past year. The findings show too many businesses are stuck in a technology lag. ESG states “increased urgency is warranted.” That’s one way of saying business leaders are hearing alarm bells that their businesses must transform, or risk their futures as technology further evolves in the next era of human-machine partnerships. The ESG IT Transformation Maturity study also links IT Transformation to business agility, innovation, and value using key metrics that would get attention in any boardroom. By missing that link, too many businesses are also missing out on a powerful combination of business benefits, including the potential to reinvigorate and redefine their futures. Innovation is driving human progress and society. However, if only a minority seize the transformational torch, the innovation gap will widen and opportunities will be lost. Rio Grande Pacific (RGP), a Texas-based holding company for regional freight railroads, is another example of a legacy business model grabbing hold of its transformed future. 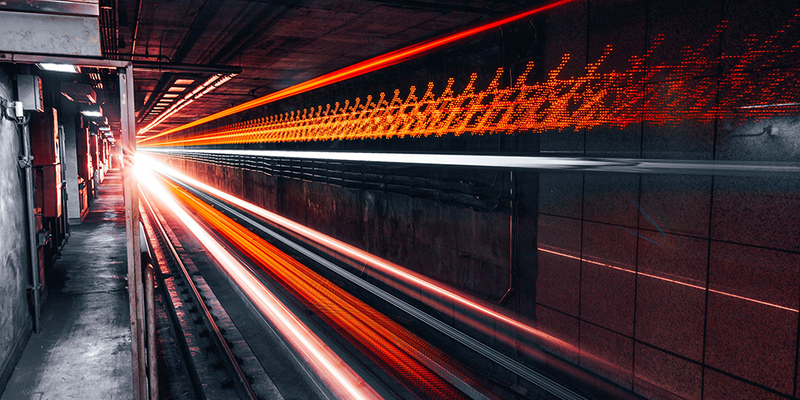 RGP CIO Jason Brown recently explained how a centuries-old industry is adapting, by tying its future to technology and creating the RIOT (Railway Internet of Things) domain. ESG found that companies like RGP, that have modernized data center technologies, automated their IT processes, and aligned their business and IT protocols (that is, achieved IT maturity) are 18 times faster to market and 16 times more innovative. In RGP’s case, it increased speed of services tenfold. When we talk about IT transformation, we are also talking about improving the financial health of the business. IT Transformation is not another IT project. It’s a journey that requires buy-in, and collaboration, from both IT and business leaders. The benefits of transformation free up resources to reinvest back into the business. In the end, it is about creating an agile, dynamic business, more highly-skilled, better-equipped team members, and simplified IT processes that can deliver optimal outcomes for their consuming business partners. It’s no coincidence that transformed businesses are twice as likely to exceed their revenue targets in the past year compared to legacy organizations. Just last month, IDC and Dell EMC revealed that study participants (transformed organizations) will realize revenue gains worth $206 million per organization per year, and 20 percent total revenue growth over five years, through IT Transformation. All in all, the study uncovers the clear benefits of IT Transformation – at a scale that goes beyond the everyday – as Bank Leumi and RGP are finding out firsthand. IT Transformation accelerates the speed of many legacy IT operations from weeks to days to hours to minutes. At the end of the day, the goal is to advance business competitiveness. Strengthened by the connective tissue of people, process, and technology, IT Transformation is critical to maintaining market relevancy in an increasingly disrupted marketplace. The Maturity study also shows that a transforming business is 2.5x more likely to compete in the market over the next few years. Where is your business today? Where do you sit on the transformational curve? Take advantage of our complimentary online IT Transformation self-assessment, to benchmark your efforts thus far, and understand your strengths and weaknesses compared to your peers.